After you create an org chart using SmartArt, you can change the size so it fits on your slide. 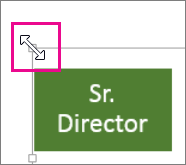 Place your finger or mouse on one of the corner sizing handles until you see the two-headed arrow, and then drag to resize the org chart. 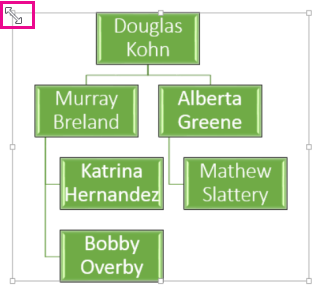 To change the look of an org chart, see Change the color, style, and layout of an org chart.